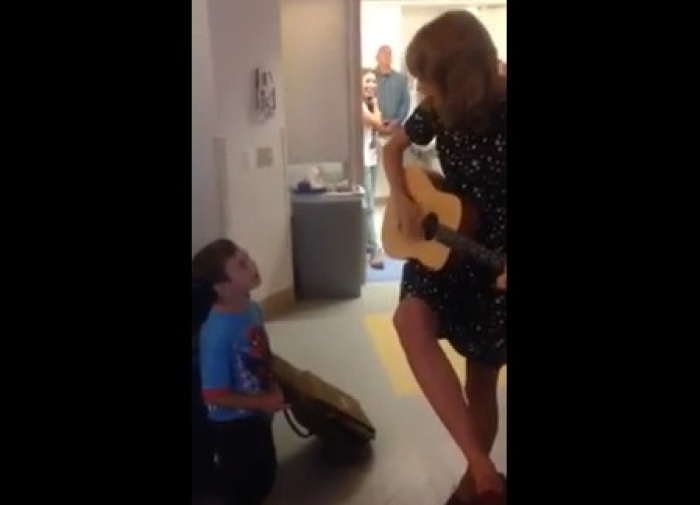 Taylor Swift Visits a Children's Hospital and Sings for A 6-Year-Old – His Reaction Will Warm Your Heart! This young boy in the video is 6 years old and he is currently battling cancer. Whenever he is feeling down, he loves to listen to his favorite artist, Taylor Swift. What happens on this day brightens Jordan's whole day up! He gets the surprise visit of a lifetime from Taylor Swift. By his facial expressions, you can tell he feels like the luckiest kid in the world. Not only does she visit and speak to him, she sings him his favorite song! A very touching moment for both these shining stars.